Our Nelson region’s population is about 46,400, and that represents near on 1.1% of NZ’s est. population. The area is made up of two districts, the Nelson District and the Tasman District. Over the last few decades our population has become increasingly more cosmopolitan, now being made up of many recent immigrants from the United Kingdom, Germany and the United States of America. 80.4 percent of people in Nelson Region belong to the European ethnic group, compared with 67.6 percent for New Zealand as a whole. 8.7 percent of people in Nelson Region belong to the Māori ethnic group, compared with 14.6 percent for all of New Zealand. 18.6 percent of people in Nelson Region were born overseas, compared with 22.9 percent for New Zealand as a whole. For people born overseas who are now living in Nelson Region, the most common birthplace was England, and England is the most common birthplace for all of New Zealand. The median age (half are younger, and half older, than this age) is 39.4 years for people in Nelson Region. For New Zealand as a whole, the median age is 35.9 years. 14.5 percent of people in Nelson Region are aged 65 years and over, compared with 12.3 percent of the total New Zealand population. 19.2 percent of people are aged under 15 years in Nelson Region, compared with 21.5 percent for all of New Zealand. Its population ranks 14th in size out of the 16 regions in New Zealand. 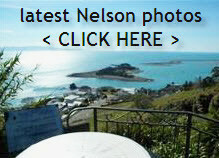 So to embark on your journey of Nelson, here’s some links to get you started…. is there an opportunity for you in NZ? Apologies if some of these links don’t work, can’t understand why some govt sites can’t get with the time and make their stuff easy to find. If there is something you do need to know and want an unbiased opinion, just email me and I’ll do my best to point you in the right direction.